Do you know what the ultimate stamp of approval is? When your husband says he refuses to buy another stroller that he has to bend over to push, then after trying the Joovy Groove Ultralight he tells me that these are the best umbrella strollers for tall people! Need A Great Umbrella Stroller But In A Hurry? BUY HERE! Or read more great reviews on Amazon. 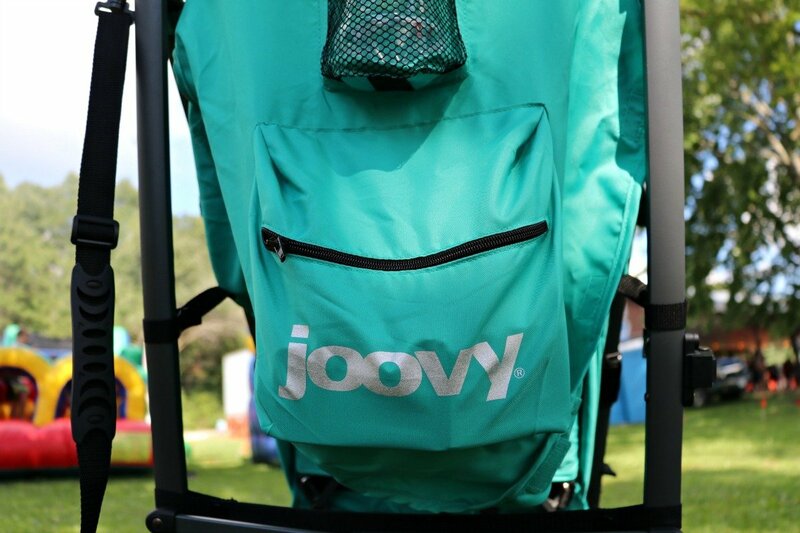 What Makes the Joovy Groove Ultralight so Great? 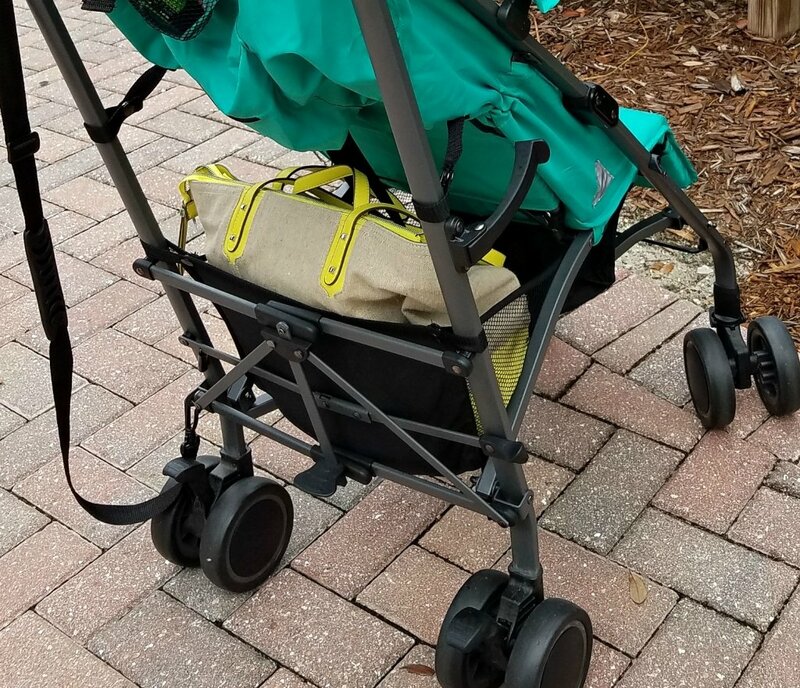 Before I dive fully into the many great aspects of the Groove, I want to mention that after four kids we have had many, many strollers throughout the last 10 years. In fact, we currently have way too many as we’ve yet to get rid of any (except the very first one we ever had and only because it broke), so our garage has become somewhat of a stroller parking facility — much to my husband’s chagrin. 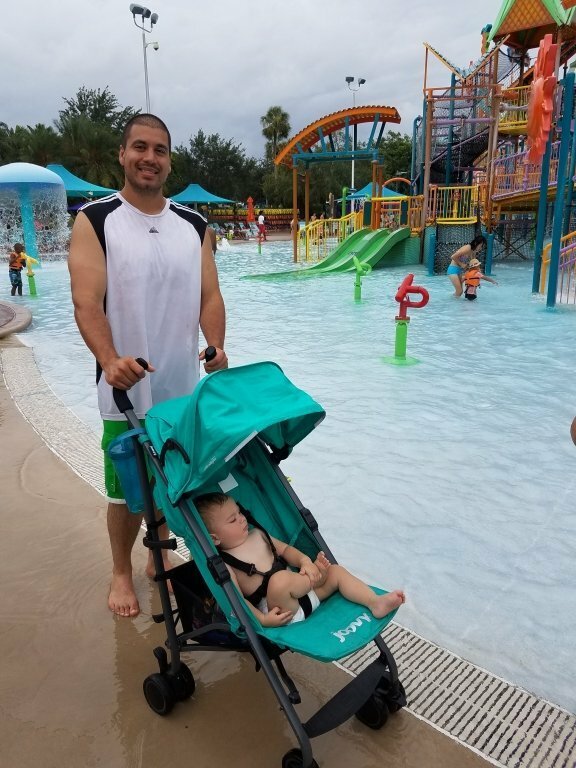 With that being said, I feel pretty confident when I tell you why this stroller is so great and why it is one of the best umbrella strollers for tall people (it should be noted that I am not that tall, but my husband is and he refused to use any stroller that makes him hunch over — it’s a deal breaker). 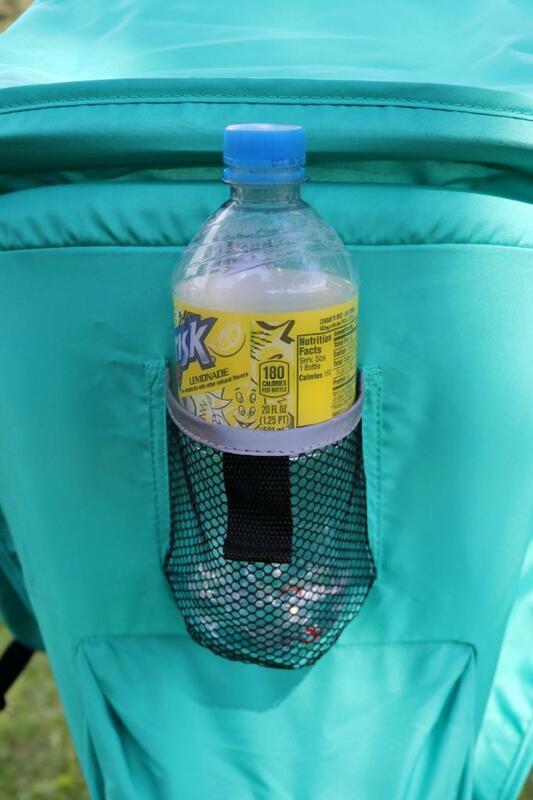 We’ve also taken the Joovy Groove Ultralight with us on our recent vacation to Florida. We did SIX Theme Parks — yes, six! This stroller held up so well and was such a breeze to push around that I feel like after passing that test, it had to make it on the list for the best umbrella strollers for tall people. Have you ever seen those commercials where the first-time-mom is packing up everything under the sun, including the kitchen sink, for a day out with baby en-tow? Yeah, we’ve probably all been there, but I have to say that less can truly be more. 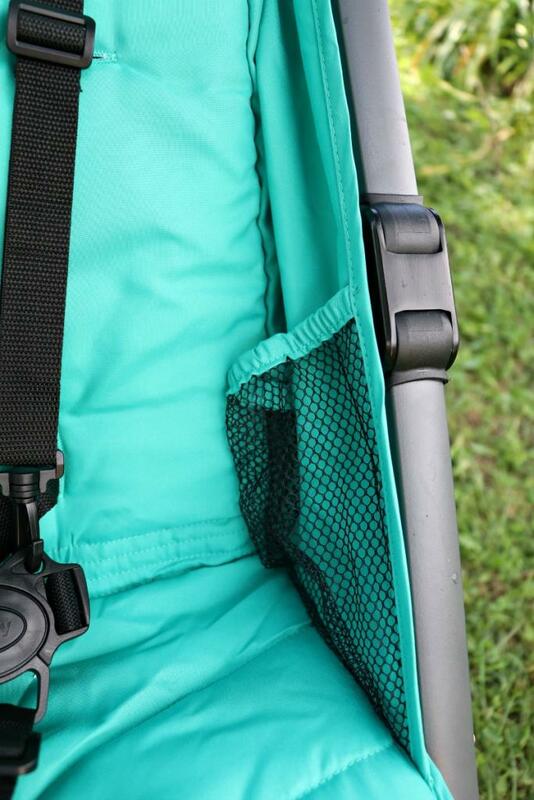 The Joovy Groove has less weight, less fuss, and just enough of everything you need. Case in point: this stroller is so compact that you can easily fold it up and take it with you wherever you need to go. 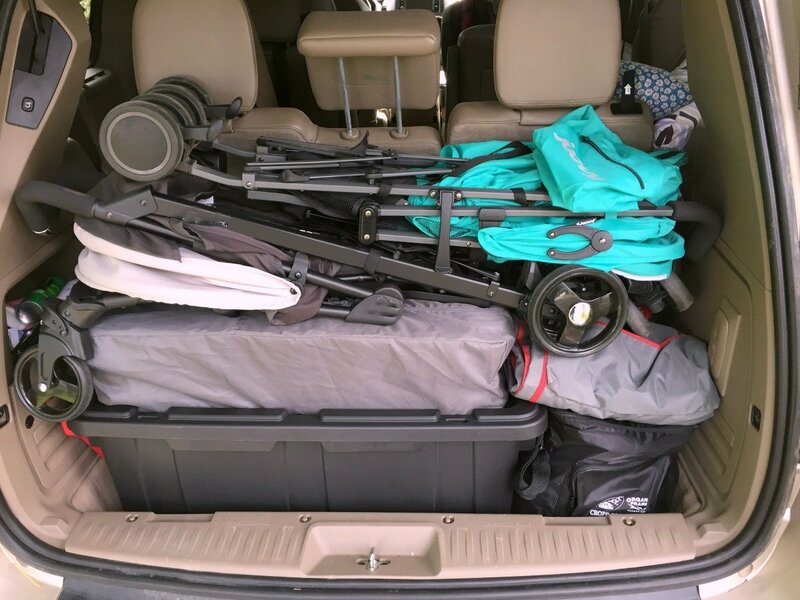 We had 7 people on our last road trip and very minimal storage space, yet this (and another stroller we already had) fit nice and compactly in the rear. You can also take it with you very easily in the airport as it has a great carrying strap built right in. 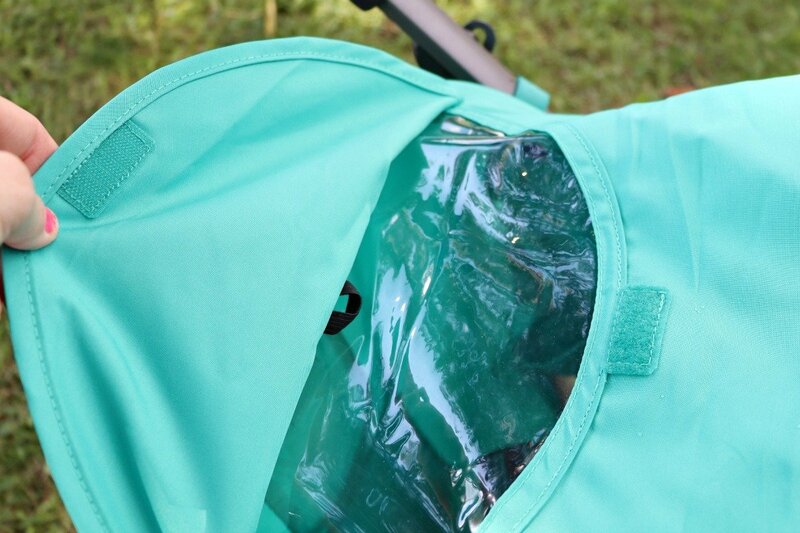 One of the things I always look for when considering a new stroller is the canopy size. I’ve seen way too many strollers with these teeny tiny canopies that may as well not even be on the dang thing because the don’t do a thing. They don’t block sunlight, especially mid-day, and they don’t help with rain either. The Joovy is actually great at both. The large canopy is wonderful at blocking light, and since it is removable and adjustable, you can position it in any direction you wish — even during a full recline of the seat. The fabric is also a bit water-resistant from what I can tell since the water just beaded up right on top. 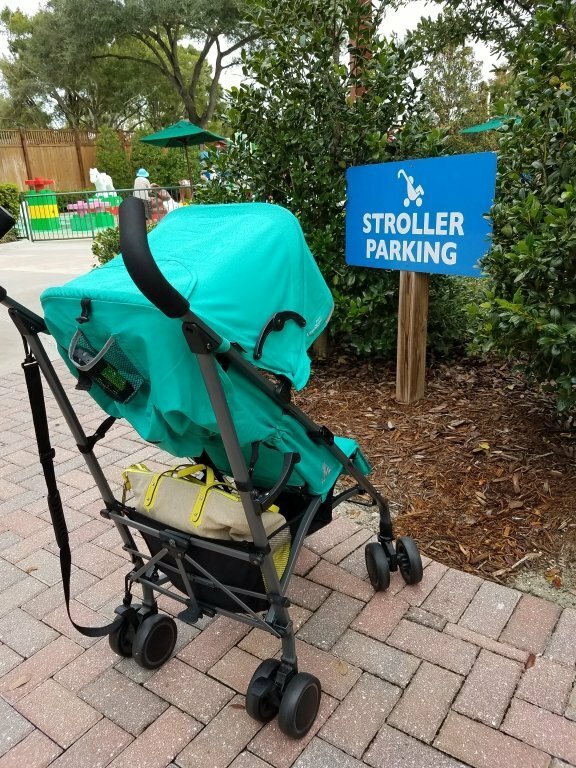 It should be noted that we also took this stroller with us to Florida for 8 days and it rained every single day. 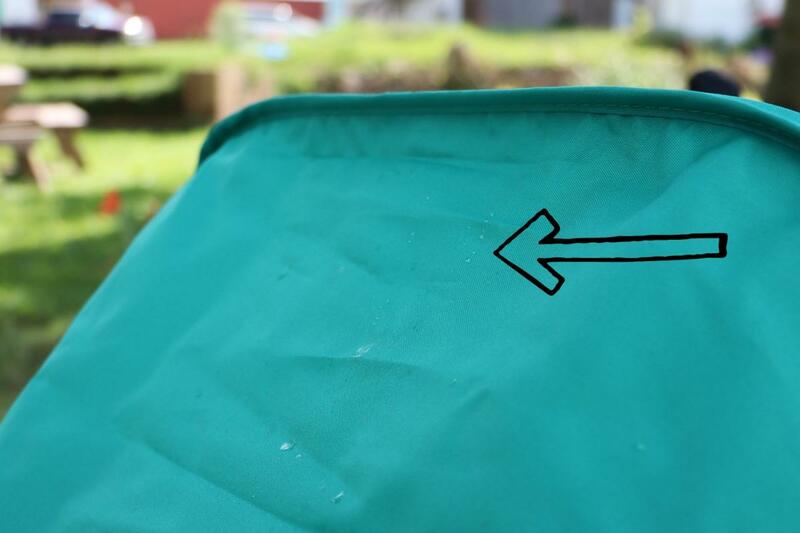 The baby stayed pretty dry under the canopy, and the parts of him that did get wet (his legs and the seat that wasn’t under the canopy) dried out very quickly. The canopy also has a peek-a-boo window. I normally don’t care too much about these, but after long days at some theme parks, it is pretty handy to use to check and see if you child is sleeping or not without them noticing. I’ve had it happen way too often where my child is on the brink of sleep, I peek around and then they see me and all thoughts of sleep are gone! Ready To Buy? Head to Amazon! 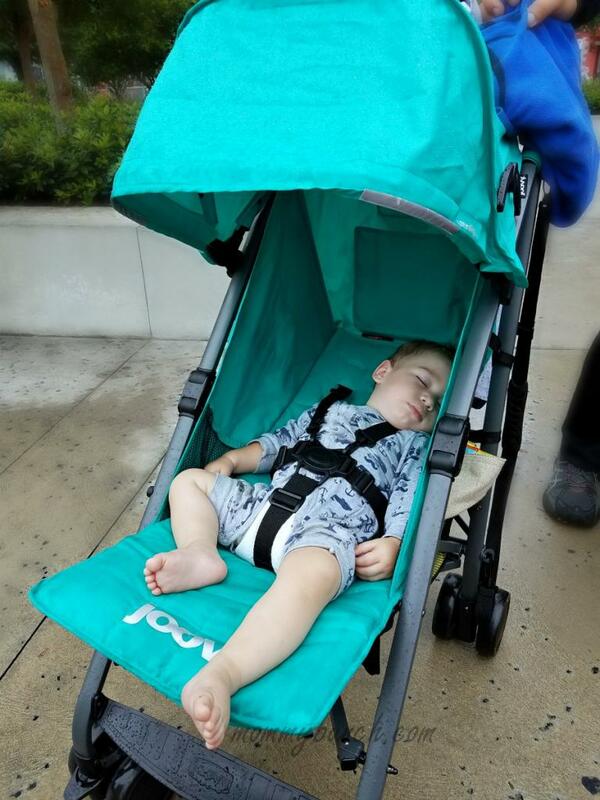 If you are using a stroller for a baby, or even a toddler for that matter, at some point they are probably going to fall asleep. 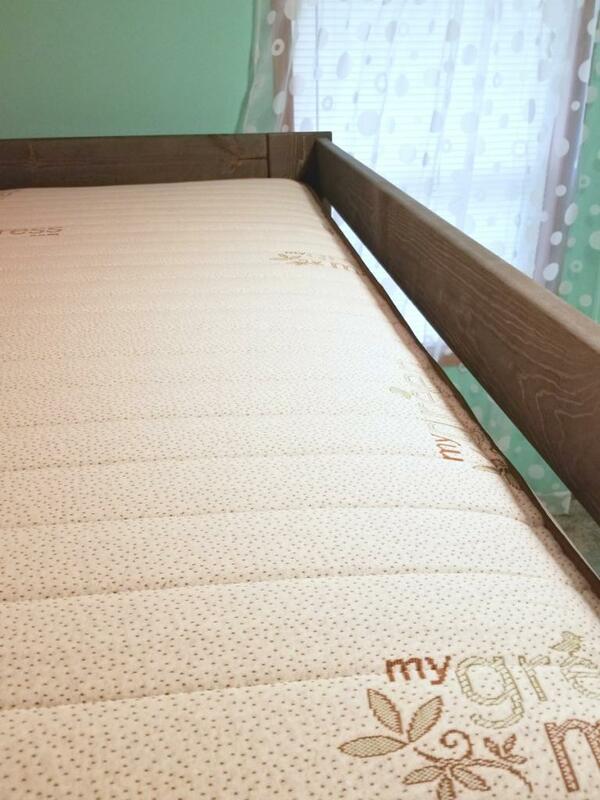 I don’t know about you, but sleeping upright is not comfortable for me, so why would it be comfortable for my baby? The near-flat recline and adjustable footrest on the Joovy Groove make sleeping on-the-go really simple and easy. The only thing I found with this stroller that could perhaps be enhanced/improved in future models is that the recline is not able to be done one-handed. It isn’t a big deal, but you do have to stop the stroller and use two hands to slowly recline the seat so you don’t wake the baby. It is very easy to do, and also easy to pull the straps to bring the seat back up, but I prefer a one-handed design. A fun feature that I don’t see on many strollers of similar size is a parent organizer. Most have a storage area underneath, but the Groove has a great zippered pocket to hold things like keys, a phone, and valuables that you can access even when the seat is fully reclined. There is also a beverage holder that holds one beverage. Speaking of storage baskets, the one on the Groove is large. For me that is a huge deal. I need a basket that can accommodate my purse and a diaper bag, this storage basket has no problem doing so! 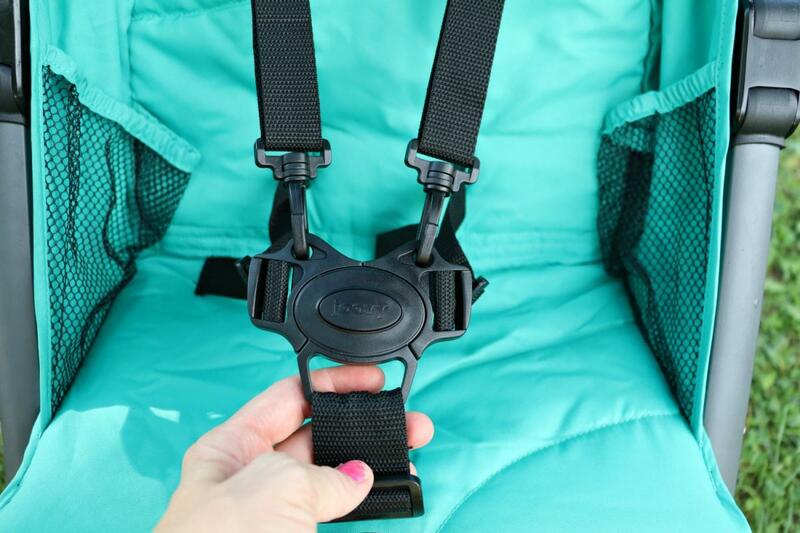 The 5-point harness on the Joovy is pretty great because it is easy to snap together, and the shoulder straps don’t pop off unless you take them off the hooks. I like this over other designs because you don’t have to wrestle with it to get all the pieces in place every time you go to use it. Each section of the harness is fully adjustable as well. If your child has a favorite toy or a sippy cup they just can’t go without, you can stick them right in the inside pockets where they will have easy access to grab those coveted items at any time. There is a mesh pocket on each side for ample storage. If Dad Loves It, It’s A Winner! 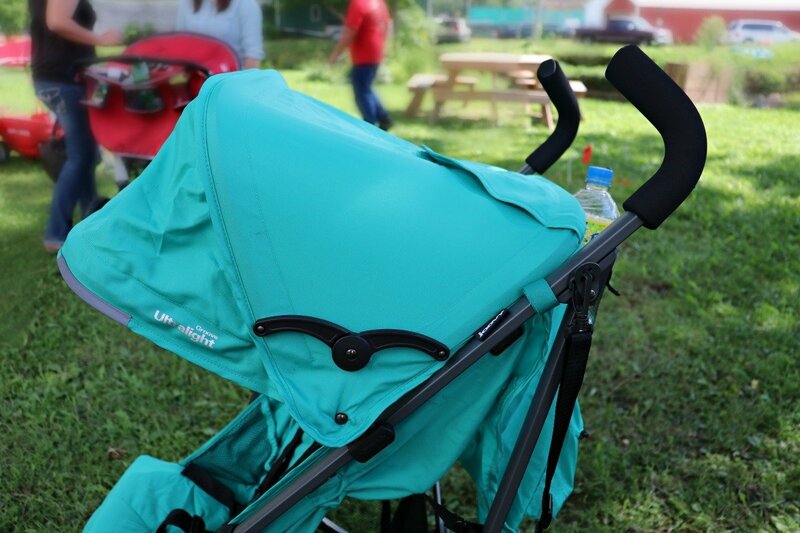 We love our Joovy Groove Ultralight as a top pick for umbrella strollers for tall people. Have you ever tried a Joovy? Find out more about the Groove Ultralight on the Joovy website. Buy on Amazon HERE. Read more reviews on the Groove HERE. I was provided a Groove for review purposes, opinions are my own.